A report that Microsoft(s msft) will hold back on Office for iPad(s aapl) and Android(s goog) devices until it’s safely ensconced on Windows 8 tablets and Windows phones illustrates Microsoft’s quandary in the tablet age. On the one hand, Microsoft has a vested interest in making Office ubiquitous — it is by far the dominant desktop productivity suite and is a cash cow for the company. On the other, Microsoft hopes to use Office to bolster its thus-far weak smartphone and tablet story. In that segment it wants to push Windows 8 as a strong competitor to Apple’s iOS and Android, and Office has always been the killer app (or apps) for Windows. Note: Microsoft has never officially acknowledged any Office-for-iPad or Android plans, and even denied such plans, but leaks have been fast and furious over the past few months. The conventional wisdom is that Microsoft ignores the iPad at its own peril and so must address it with Office in some form. 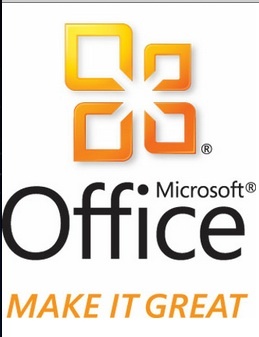 Initially, Microsoft planned to introduce versions of Office 15 for all three platforms. But according to sources familiar with the company’s strategy, Microsoft will now ship the long-awaited application suite sometime in October for Windows devices, most notably the upcoming versions of Windows Phone, and hold off on selling Office for iOS and Android devices until next spring. The debate over whether Microsoft should or should not field Office on the hot-selling iPad, shows the line Microsoft must tread. At a time when it’s trying to show Windows Azure as a more cross-platform cloud that will store and manage everyone’s data — regardless of the endpoints — the fact remains that the company sees Office as its cash cow and it also knows that it has a ton of ground to make up in mobile devices and smartphones where it will push Windows 8 and Windows Phone 8 hard against iOS and Android. 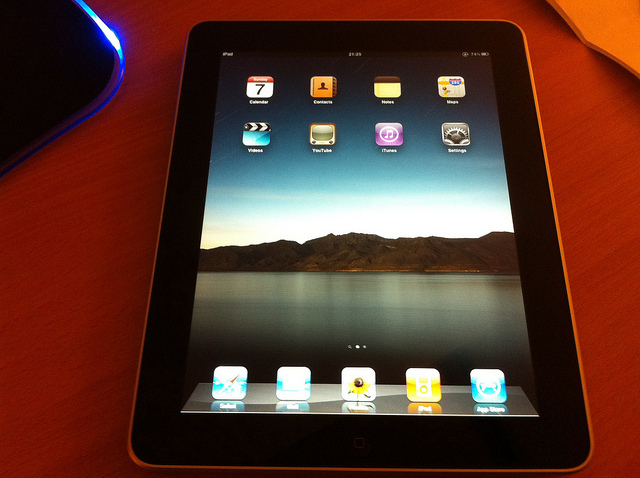 Withholding Office from iPad: Who gets hurt? Tier 1 analyst Carl Brooks said this Windows first strategy is nutty in this day and age. “Microsoft wants to own user data in Office across the clients and in the cloud obviously. But this is a fight Apple’ s going to win on its own platform,” he said. “Microsoft can obviously deliver a better experience on Windows devices, but waiting too long or restricting Office to Windows would be suicide. I can already read .docs and .ppts on my iPhone and it gets easier all the time,” he said. There are also other third-party ways from IonGrid, OnLive and CloudOn to deliver Office to iPads. David Linthicum, CTO and co-founder of Blue Mountain Labs, said by holding back on Office, Microsoft could hurt both its cloud and its Office story by giving people a reason to check out Google Docs or Zoho or another cloud-based productivity suite that competes with Office 365, Microsoft’s cloud-based Office implementation. “This just shows Microsoft is up to its old tricks,” he said, “making sure that they promote their platform in any way they can. However, not supporting popular devices could lead many enterprises to phase out Office and thus Windows. Many will opt for existing cloud-delivered Office productivity tools,” he said. One thing is for sure, while Microsoft has a better tablet and smartphone story in its upcoming Windows 8, moves like this could handicap its overall cloud and applications strategy. At the recent Cinegear expo in LA, there was an entire session devoted to iPad and iOS apps for the entertainment industry. Everyone from writers to producers to cinematographers to camera assistants are now using them for “work”. And that’s just one example of how they are moving into the work space, not just consumer use, thanks to the range and quality of apps now available. WinPhone? Windows 8? Not mentioned. Why are people so quick to judge MS for taking care of their own first? Apple doesn’t allow the use of iTunes on Androids devices. And if the words of Steve Jobs hold up, never will. The entire reason is because they are pushing their own platform. Yeah, this could cost MS in the long run, but don’t bash them for strategies that nearly every platform maker in the business is using. I dont know anybody who uses an iPad for actual work, maybe travelling business people. It’s a consumer device, not a producer’s device. Office is for those that produce. I know someone, but he just uses it to remote terminal into a *nix flavored DB server. Nice cover with a builtin blue tooth keyboard. Super portable. “The better tact [sic] would be for Microsoft to give all mobile users a very cheap Office client”â€”you mean “tack”. Thanks, Ben, although I thought she meant “tactic” and I’ve changed accordingly. Should I have guessed wrongly, we’ll update again. but tactic is fine. All good! Well that’s just about it in a nutshell. But there’s worse news for Microsoft. I use Word, Excel and OneNote on my desktop along with iPad apps which do much the same. I prefer the iPad apps by a country mile. Rather than looking to replicate Office on my iPad, I’m looking for ways to put those lightweight iPad apps on my Windows desktop. I can’t be alone in this and that has to be bad news for Microsoft. Holding off Office a couple of months is a loss but the gain is much more. Office is dominant for now. How much marketshare will it loose this way? 5%? 10%? The threat Windows is facing is much more significant. If they gain 20% more marketshare in Tablet/Mobile fields by loosing 10% in the Office’s field it’s a huge gain. Instead of an iPad with a physical keyboard, get a laptop instead, it does more and cost less. Bizarrely, I agreed with that until I got an iPad. Before that, I couldn’t see why I’d ever want one: after all, my Netbook does more and costs less… but the reason is subtle: the apps provided by the services you just happen to want to use the most (banks, facebook, wikipedia front ends, etc.) are so nice and so well attuned to the way an iPad works that you end up using it all the time. I honestly believed that I’d get the thing, write a few programs for it and basically never use it after that… but in reality I find myself using it all the time. The fact that it takes no time to come online is also a great thing: not having to wait a minute or two for it to boot makes a hell of a difference when, say, you’re watching a movie and you just want to look something up about it: that little imdb client you can download makes the whole thing very quick indeed… and there are tons of things like that which just work really well on it. Somehow, it’s not an oversized iphone with no phone in it: the way its apps are designed make it a hell of a lot nicer. It’s hard to explain, really: you have to sit there with one for a week to get the point… but it definitely does fulfil a function. You said, “One thing is for sure, while Microsoft has a better tablet and smartphone story in its upcoming Windows 8.” What do you mean by that? It appears you are stating a fact, but it’s a prediction. Please support your statement. Um, better than what exactly??? i should have been clearer and worded it better — but i think the perception is that with next windows Microsoft has improved the windows client across devices…based on reviews i’ve read. Clearly others disagree. As Gruber noted, the biggest issue that the iPad raises is that work can be accomplished without Office. With increasing amounts of iPads in the office, we begin to rely on availability rather than inter compatibility. Score one for availability. We need better ways to communicate on rapid, Agile projects rather than more PowerPoint presentations. My mobile wires are already dynamic prototypes rather than Visio documents, dynamically discussed with business, IT, and users. Office supports documents, but how do the tools support conversations? MS can do whatever they like with Office. However, if they think that this is still 1998 and people are going to buy Windows tablets just because of Office then they are fooling themselves. The bad press reviews MS will get for W8 on desktops will poison customer views of their tablet offerings. MS and OEMs won’t even be able to compete on price and Retina display for another year. Tons of tablets with full HD displays were announced today. See why you shouldn’t talk down the competition? Really? Because the only a couple I’ve seen so far are maxed out at 1080p which, again, does not approach the iPad’s screen. The rest were either 1366×768 or the just didn’t give any specs at all.